Leading wind Lidar developer, ZX Lidars, has successfully demonstrated the use of Drone Wind Lidar to accurately measure the wind in what is believed to be a world-first. ZX Lidars provides vertical and horizontal profiling wind Lidars to accurately measure wind conditions remotely and above or ahead of their installed position. These accurate, independent wind measurements are a cornerstone in the development, construction and operation of wind farms globally. 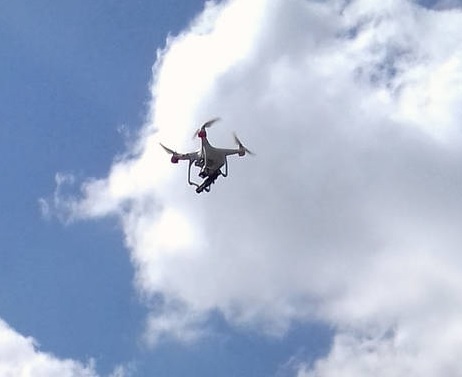 The company has now achieved accurate wind Lidar measurements from a commercially-available drone (an Unmanned Aerial Vehicle) for demonstration purposes, and trialed the system successfully during summer 2018 with excellent data rates and sensitivity. Dr Michael Harris, Director of Science at ZX Lidars, has pioneered wind Lidar for the wind energy industry for nearly 20 years, and has been the driving force behind this latest innovation. 2018 Drone Wind Lidar trial results will be presented at the Wind Energy Science Conference (WESC) 2019.